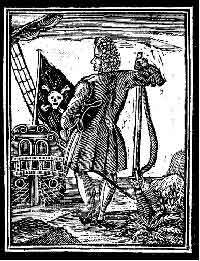 Major Stede Bonnet was one of the more unique pirates commonly known as the "gentleman pirate." His background was not that of a typical pirate and he was not that entirely successful as one either but he became well known for his actions, in particular when he traveled with the notorious Blackbeard. Contrary to modern popular belief, Bonnet was also known as one of the very few pirates who had prisoners "walk the plank." pirate - he was well groomed, wore fancy clothing and a periwig. It has been suggested that Bonnet snapped one day as a result of his wife's constant nagging. At that point he decided he had enough so he bought a sloop and outfitted it with ten guns using his own money (an unheard of practice for a pirate!) He rounded up a crew of 70 for his newly christened sloop Revenge and set sail for his new pirate life. Sailing of the coasts of Virginia and the Carolinas, Bonnet somehow managed to plunder several ships even though he lacked maritime experience.  The crew quickly realized this lack of skill in Bonnet and they began to get restless. About this time, Bonnet sighted another pirate ship off the Carolina coast which turned out to be none other than Blackbeard. The two captains agreed to work as partners, but Blackbeard quickly realized also that Bonnet was not much of a seaman. Teach "convinced" Bonnet that it would be better if sent one of his own lieutenants to take over command of Revenge while Bonnet went aboard Blackbeard's ship as a "guest." During this this time, it was stated that Bonnet was observed on Blackbeard's ship walking around in his morning gown and tending to his personal library of books he had onboard. Despite his pardon and privateering plan, Bonnet soon returned to piracy. He operated once again around Virginia and apparently was more successful now after his tour with Blackbeard because he was able to plunder several ships in the following months. Unknown to him, pirates were once again causing trouble near Charleston, in particular Captain Charles Vane. Outraged by the recent string of pirate attacks outside Charleston, the Governor and Council of South Carolina planned to rid the menacing pirates. Colonel William Rhett led two sloops for the pirate hunt; the 8 gun, 70 men Henry with Captain Masters, and the 8 gun, 60 men Sea Nymph with Captain Hall. In late September 1718, the two privateer sloops discovered three pirate ships anchored in the Cape Fear River. A battle soon ensued and both the pirates and their hunters kept running aground on the shallow shoals. After about 5 long hours, the battle ended suddenly when the pirate rose the white flag to surrender. Rhett was surprised to find that the pirate captain was Major Stede Bonnet on his new ship Royal James and his two consort vessels. Bonnet and his captured crew were returned to Charleston where he was well known for his participation in the siege of their harbor. The 34 pirates were put on trial in Charleston from October 28 to November 12, 1718, where Judge Nicholas Trot gave a lengthy moral speech of Bonnet's deeds especially knowing of cultured background of the pirate. In the end, 30 out of the 34 were convicted and sentenced to death, including Major Stede Bonnet. 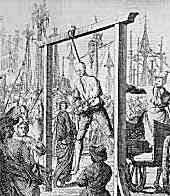 While in prison, Bonnet sent a letter to the Governor for forgiveness and promising reform, but he was eventually hanged at White Point, Charleston in November 1718. Major Stede Bonnet was not what a typical pirate that started his career as a seaman turned pirate. Instead, Bonnet already had a successful career in the army and he had a large plantation so why exactly he turned to piracy is not clear. The nagging wife theory is one possibility, but in the end he will be known in pirate history as the pirate gentleman.